This is a bring-your-own laptop, hands-on course in the popular and powerful open source Python programming language. 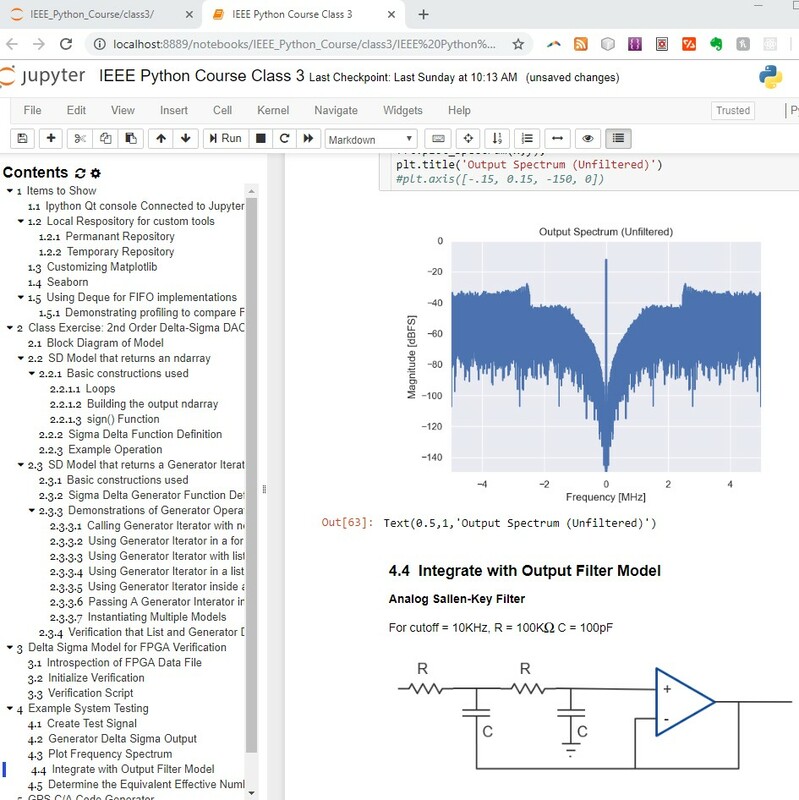 Dan provides simple, straight-forward navigation through the multiple configurations and options, providing a best-practices approach for quickly getting up to speed using Python for solving signal processing challenges. Students will be using the Anaconda distribution, which combines Python with the most popular data science applications, and the Jupyter Notebooks for a rich, interactive experience. 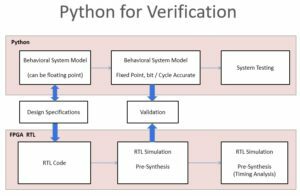 The course begins with basic Python data structures and constructs, including key “Pythonic” concepts, followed by an overview and use of popular packages for scientific computing enabling rapid prototyping for system design. 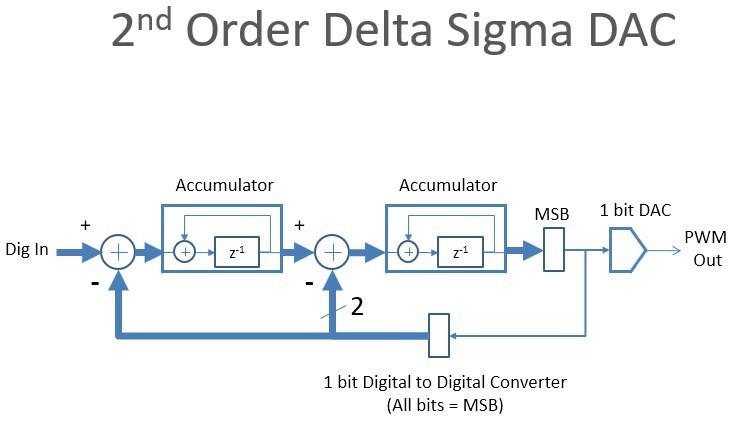 Once a basic working knowledge of the language is established, students will create example designs including a sigma delta converter and direct digital synthesizer both in floating point and fixed point. 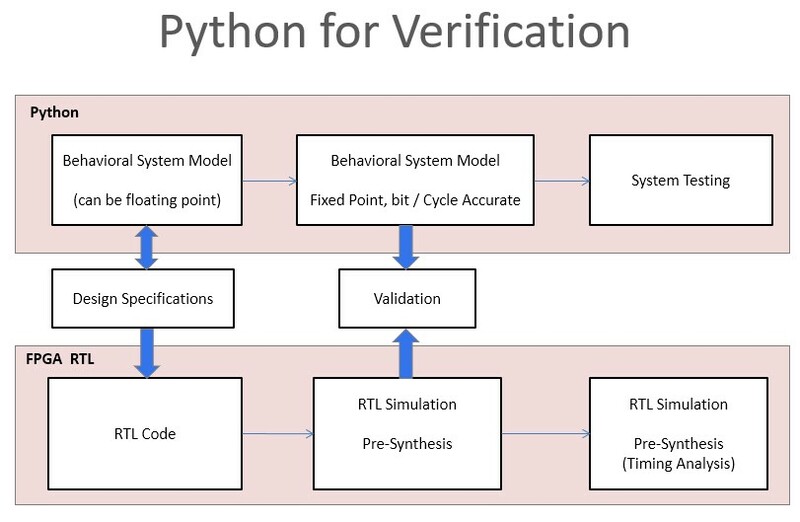 This will include considerations for cycle and bit accurate models useful for digital design verification (FPGA/ASIC), while bringing forward the signal processing tools for frequency and time domain analysis. This course makes extensive use of Jupyter Notebooks which combines running Python code with interactive plots and graphics for a rich user experience. Jupyter Notebooks is an open-source web based application (that can be run locally) that allows users to create and share visually appealing documents containing code, graphics, visualizations and interactive plots. Students will be able to interact with the notebook contents and use “take-it-with-you” results for future applications in signal processing. Target Audience: This course is targeted toward users with little to no prior experience in Python, however familiarity with other modern programming languages and an exposure to object-oriented constructs is very helpful. 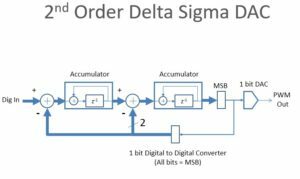 Students should be comfortable with basic signal processing concepts in the frequency and time domain. Familiarity in Matlab or Octave is not required, but the equivalent operations in Python using the NumPy package will be provided for those students that do use Matlab and/or Octave for signal processing applications. A laptop (Mac or PC) preconfigured with Anaconda is required; the specific installation instructions will be emailed to students prior to the start of class. Benefits of Attending/ Goals of Course: Each student that completes the course will have the tools in place to immediately put Python to use in their current work environment for scientific computing applications. After this course, you will love using Python as much as Dan does! 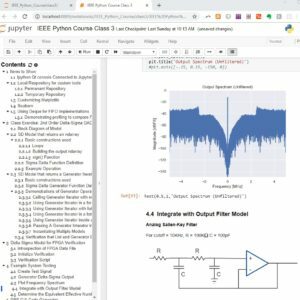 Class 1: Intro to Jupyter Notebooks, the Spyder IDE and the course design examples including Delta Sigma Converters, GPS Code Generators, and Numerically Controlled Oscillators. 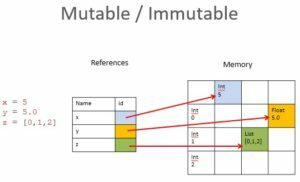 Core Python constructs. Class 2: Core Python constructs, functions, reading writing data files. Class 3: Signal processing simulation with popular packages including NumPy, SciPy, and Matplotlib. Class 4: Bit/cycle accurate modelling and analysis using the design examples and simulation packages. Dan Boschen has a MS in Communications and Signal Processing from Northeastern University, with over 20 years of experience in system and hardware design for radio transceivers and modems. He has held various positions at Signal Technologies, MITRE, Airvana and Hittite Microwave designing and developing transceiver hardware from baseband to antenna for wireless communications systems. 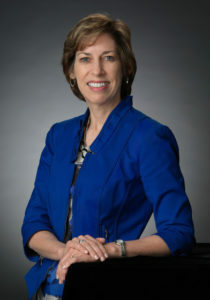 Dan is currently at Microchip (formerly Microsemi and Symmetricom) leading design efforts for advanced frequency and time solutions.